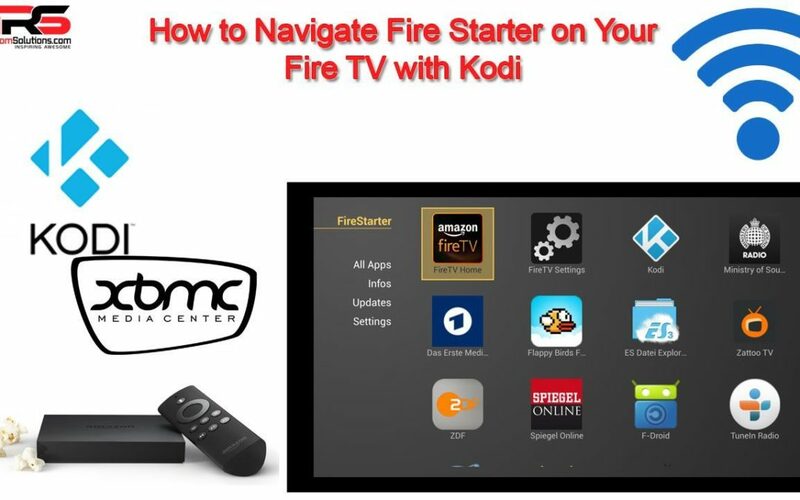 Here we will briefly talk about an app on your Fire TV or Fire TV stick that will let you easily navigate applications such as Kodi XBMC called FireStarter. FireStarter essentially allows you quick access to the Fire TV home menu, settings, or other applications. If you purchased fully loaded Fire TV or Fire TV Stick from us these steps will help you understand the basic navigation and setup when you receive the item. Now your device is online. You can press the home key at any time and get back to FireStarter. In FireStarter you can highlight and select Kodi to boot into that software package. With our pre-configure units, you can simply double click the home button on the remote and it will automatically open Kodi as well. The “Fire TV Home” icon in FireStarter will open the standard Fire TV interface. By default our pre-configured units are Adult content ready, but it is not enabled until you do it. Don’t worry as your kids will truly not know how to do this. If you want to enable Adult content on your device visit our “How to Add Adult Content to Kodi” post. I got my firestick today and installed and registered it on amazon but I cannot get it to go to Kodi. I have double clicked on the home icon and it does not open Kodi it goes to apps library amazon. How do I get to Kodi? Go to system, applications, manage my applications, Kodi. They blocked firestarter, but app starter is on there. Honestly after you launch Kodi 1 time it will show up in the new recent apps area on the fire tv so you wont have use a starter app. I have started Kodi several times now (that’s the only way I can get it to work) and it DOES NOT show up under recent apps. I’ve double clicked the home button, it does nothing. I don’t have Firestarter that I can see. Amazon killed firestarter since it took over their home button. You can now use appstarter to upgrade kodi or access shortcuts. You can also find kodi under system, addons, manage my addons, kodi, launch. Once you launch it, it will show up in recent apps. To provide a resource for others that share our passion for DIY Game Room Projects with quality parts and information.